Mr.Nagarajan founder of Virgo Engineering Works was assisting his father who was a great mechanic in modern rice milling equipments, from his childhood. As he was the eldest of his family he has to bear the responsibilities after the sudden demise of his father. He embedded innovative engineering designs in the modern rice milling machines. Later on his interest turned to food processing machines. His focused vision coupled with his innovative characteristics started to pay. His machines such as Garlic peeling machine, Lemon Cutter and Multi Vegetable Cutter got wide recognition from the industry people and academicals. To start an exclusive research and development wing which will keep on bringing food processing machines with adavnced technologies and innovative features that will go along with our government's 'Make In India' slogan. 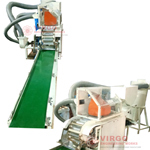 Machine can peel Garlic, Shallots, Big and small onions of different size and thickness. 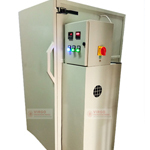 The method adopted in this machine is air blasting method, and the peeling process is controlled by sensor and automatic programmable logic control (PLC). A food-grade highly cost competitive, fully automated machinery designed for bulk quantity peeling of garlic without damaging and maintaining the original property with wide application in pickle industry and garlic paste, garlic powder. 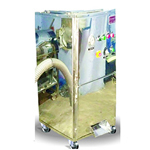 Virgo Garlic dryer made for drying the garlic without losing its natural properties. 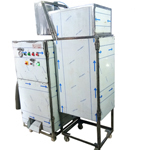 Dryer is an enclosed chamber in which trays are placed on top of each other. 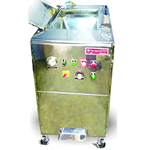 Machine can peel Garlic, Shallots, Big and small onions of different size and thickness. 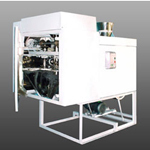 The innovative machine can be effectively used by any Food processing industry such as pickles or masala manufacturers. Large quantities of lemon to the required shape and size can be cut in a continuous fashion. 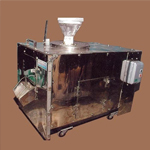 We are one of the distinguished organizations in the industry engaged in providing a superior quality range of Garlic Peeling Machine. 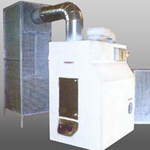 Offered machines are manufactured by the use of best quality materials and latest techniques. Innovative designed so as we need not to not to change blades to cut different vegetables. By changing the mesh size we can change the sizes of the cut vegetables.